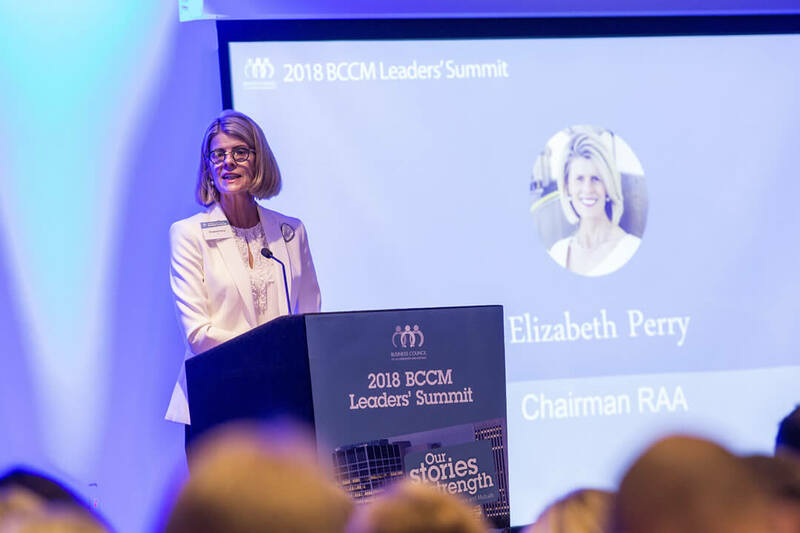 Good morning ladies and gentlemen and welcome to the 2018 BCCM Leaders’ Summit. I acknowledge that the land we meet on today is the traditional lands of the Kaurna (GAR-NA) people and that we respect their spiritual relationship with their country. As the President and Chairman of RAA, South Australia’s largest mutual, it is fantastic to be here today, and I would like to thank BCCM for inviting me to deliver the opening remarks ahead of a quite fascinating program. This morning, I would like to talk to you about the opportunity that every mutual and co-operative has before it right now. Specifically, it is an opportunity to gain more market share, while at the same time building a more inclusive and prosperous economy for the betterment of every Australian. As we all know, our nation is in the midst of a royal commission into misconduct in the banking, superannuation and financial services industry. I am sure you would all agree that some of the stories we’ve heard from the banking royal commission have been disturbing. There probably aren’t too many of us who haven’t had a discussion about just what is going on in these industries. And therein lies the opportunity for mutuals and co-operatives. Consumers are carefully considering and reconsidering who they shop with, and who they seek products and services from to align with organisations who share their values; organisations they like and respect, and most importantly, organisations they can trust. Trust is, and always has been, a great strength of mutuals and co-operatives, because of our people-centric business model and our passionate community focus. The time is right for mutuals and co-operatives to confidently embrace every opportunity to tell our stories about how we service our members and customers. For while we have wonderful stories to tell—how much do people really know about the work that we do? Does the ordinary Australian actually know what a mutual is? Do they understand how a co-operative works? Do they know that the members are at the centre of the rationale for existence for mutuals and cooperatives? Are they aware of the enormous economic, social and environmental benefits we can, and do, provide them and their local communities? There are a few simple steps we can take to explain the role of mutuals and cooperatives, and how we are different from profit-driven institutions. Firstly, we need to keep informing and educating the public about who we are. Secondly, we need to keep conveying how we operate for community good, and that as customer-owned entities, we exist to provide better services and lower costs to customers because we’re not driven by profits. Thirdly, we need to be clear in our communications that we create new jobs, production efficiencies and market diversity in the Australian economy. Plus we are innovative, profitable and resilient to economic downturn. Finally, we need to reinforce that we are driven by our own guiding principles, values and ethics, all of which builds trust and demonstrates how important trust is to us. At RAA, we have been taking on this challenge and I am pleased to say the results are already showing. This year, membership of RAA has reached the highest level in our 115-year history. In fact, on the back of our core business offerings in roadside assistance and insurance, membership increased by 7 per cent in the last financial year and now stands at more than 720,000 people. In the past year alone, we were delighted to return more than 38 million dollars in benefits to our members, including 21 million dollars in member loyalty product discounts, and 17 million dollars saved by members who utilised discounts through our More For Members program. Today, we are particularly proud of the fact we provide services to 65 per cent of South Australian homes, while our member satisfaction rating stands at 90 per cent, which is testament to our ongoing commitment from board to employee, to putting our members first. Our story is common to many of the 2,000 mutuals and co-operatives across the country who can point to similar figures, which as a collective, demonstrates how we are helping to build a more robust economy from within. We have Australia’s only butchers’ co-operative supporting independent, family-operated businesses across the state. South Australia is also home to the largest nut processor in the Southern Hemisphere operating on co-operative principles, Almondco. Almondco is an incredible success story, with the Riverland co-op managing to increase its production four-fold over the past decade to drive the sector’s worth from a couple of hundred million dollars annually to more than a billion dollars last year. It has transformed a boutique industry into a horticultural powerhouse, simultaneously cultivating the businesses of growers across Australia, while generating more and more jobs in local communities. And there are so many other success stories in South Australia too. Organisations such as People’s Choice Credit Union, Statewide Super, Beyond Bank, Lenswood Apples, the Master Butchers Co-operative, and Health Partners – to name just a few among many others – are doing a wonderful job for their members and the small businesses and regional communities they serve. They are also upholding a rich tradition of mutuals and co-operatives in this state, who give back 76 cents to the local community for every dollar spent with them. That is an incredible return. Of course, the benefits that mutuals and co-operatives provide are already known to everyone in this room today. We do, however, still have work to do from small country towns through to big cities to reach and engage consumers and members. While I think we are already doing an excellent job collectively, we have an opportunity before us right now to achieve even more. On that note, I will conclude my comments by congratulating BCCM for putting on what shapes as an outstanding summit, which I hope each and every one of you find beneficial for your respective organisations.